Just as building codes are required to be standardized, so should the process of issuing Permits and tracking the progress of building inspections. CSAS/Pro Permits can assist the permits office with the application process, the issuance of permits, the tracking & scheduling of plan reviews & inspections, and the tracking of code violations & re-inspections. 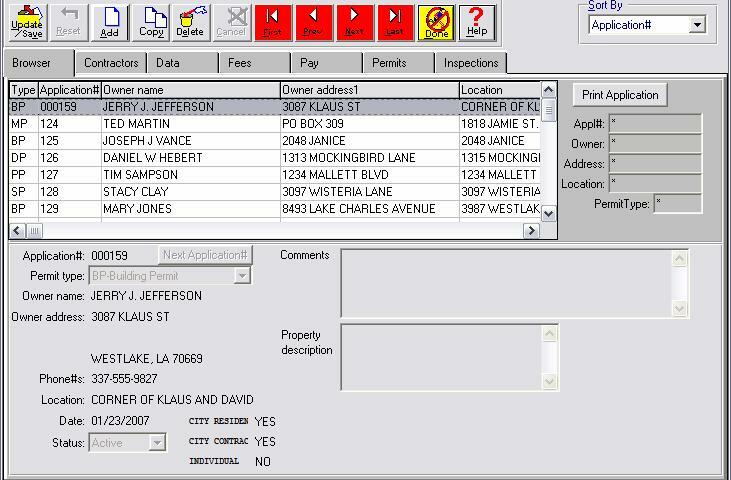 With CSAS/Pro Permits, templates for the applications for all permit types are easily created by including predefined fees and data elements. 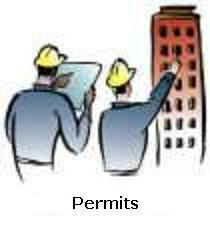 Tracking and scheduling all aspects of the permit including inspections, plan reviews, etc. is easy with CSAS/Pro Permits. System operators in the permits office can know the exact status of each permit. When contractors and builders need an update, the information is right at your staff’s fingertips. 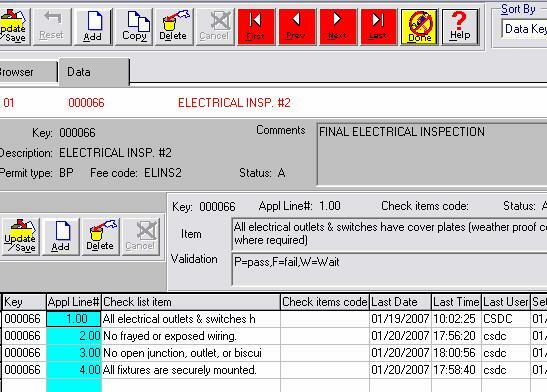 Building Inspectors can be set up in the system with their certification number so that a list of all available Certified Building Officials (whether they are your staff or contracted) can be maintained on your system. Integrates with CSAS/2 GL and Cash Receipts. for fast and easy entry of information. Calculates the fees associated with each Permit. Prints out Inspection Check Lists.